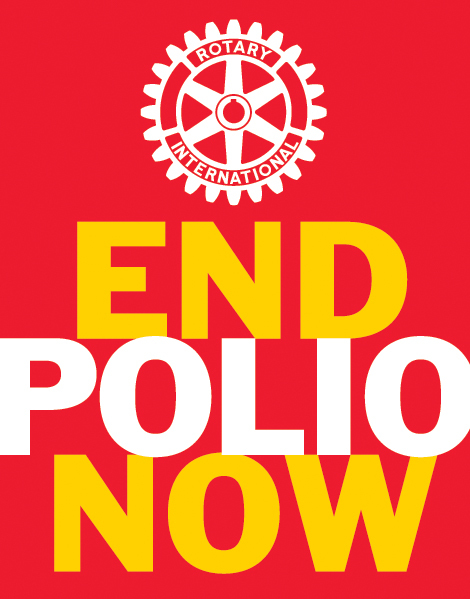 "WE WILL ERADICATE POLIO FOREVER"
After 30+ years, Rotary along with our partners, has reduced polio cases by 99.9 percent worldwide since our first project to vaccinate children in the Philippines in 1979. We are close to eradicating polio, but we need your help and to TAKE PART. RI President Ian Riseley has challenged Rotary clubs to raise US$1500 per club for the PolioPlus fund during 2017-18. The Bill & Melinda Gates Foundation will match two-to-one, up to US$50 million per year, every dollar Rotary provides to polio eradication funding through 2019-20. Your gift to the PolioPlus Fund is a gift to the children of the world. - Bill Gates, Co-chair, Bill & Melinda Gates Foundation. "FAILURE TO ERADICATE POLIO IS UNFORGIVABLE, FOREVER." - Margaret Chan, Director-General, World Health Organization. "When we eradicate polio — and we will — we will have proved ourselves an organization capable of great things. And we'll be even better equipped for the next challenge we choose to take on. We'll have given the world a gift that will endure forever." - RI Past President Gary Huang.